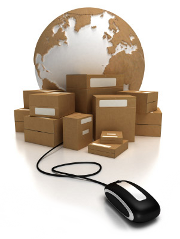 Providing different shipping methods to clients is an essential feature of each online store. CS-Cart offers the most popular delivery services in the world: Fedex, UPS, USPS, DHL, Australia / Canada / Swiss Post, Temando. But, there are cases that demand to use other delivery services due to low prices on its service or the convenience of certain shipping processor in your country, or the trade zone. We can integrate any shipments with CS-Cart system. 1. The basic integration of a shipping module. Manual(s) on how to integrate the delivery method (support team of the delivery company must provide you with this manual). Access to your shipping account (for example: for UPS it is UPS Rates Access Key, Username, and Password). CS-Cart Version of the store. The shipment method integration to CS-Cart store cost usually starts from USD 360. The cost may vary. It depends on shipping processor features. 2. Additional services such as printable shipping labels generation, etc. Manual(s) on how to integrate the delivery processor (support team of the delivery company must provide you with this manual). Access to your shipping account (for example: for UPS it is UPS Rates Access Key, Username and Password). CS-Cart Version of your store.